born in 1964, studied Jazz guitar und music at the University of Mainz and at Berklee College of Music in Boston. He studied with a.o. Greg Hopkins, Brett Willmott, Ken Pullig, Ray Brown, Bob Mintzer, Chuck Wayne, Joe Pass, Joanne Brackeen, Jerry Bergonzi and Pat Martino. 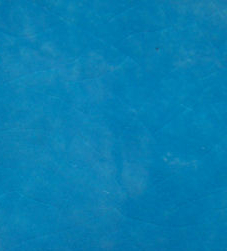 In 1993 he wrote a Ph.D. dissertation on the music of jazzguitarist Pat Martino. He has played with a.o. Leszek Zadlo, Christopher Hollyday, Snapshot, Napoleon Murphy Brock, Mike Keneally, Denny Walley, Bobby Martin, P-Connection, Midnight Blue, Nightpassage and Sheik Yerbouti. 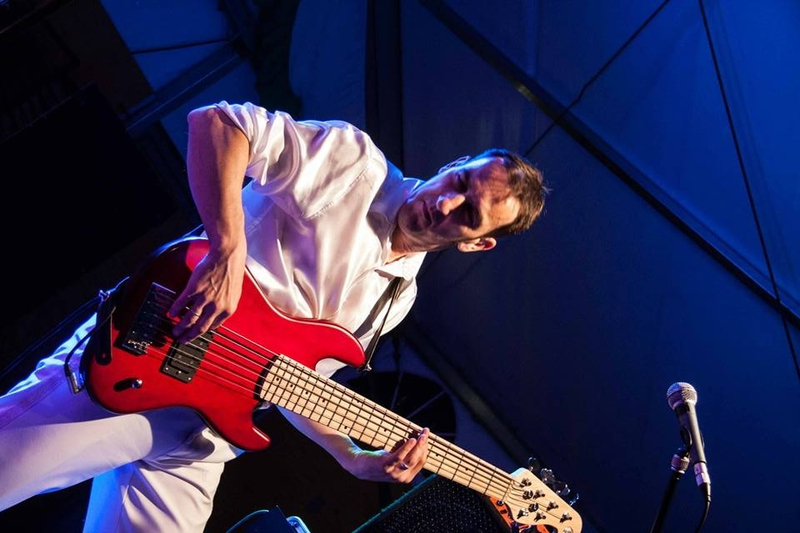 He teaches Jazz harmony and arrangement at the University of Mainz, jazzguitar, ensemble and transcription at the Frankfurter Musikwerkstatt (FMW) and is also active as a guitar teacher and studio musician. studierte Jazzgitarre und Komposition an der Universität Mainz und am Berklee College of Music (Boston, MA) bei u.a. Greg Hopkins, Brett Willmott, Ken Pullig, Ray Brown, Bob Mintzer, Chuck Wayne, Joe Pass, Joanne Brackeen, Jerry Bergonzi und Pat Martino. 1993 promovierte er über die Musik des Jazzgitarristen Pat Martino. Er hat u.a. mit Leszek Zadlo, Christopher Hollyday, Ray Brown, Snapshot, P-Connection, Nightpassage, CT Beatles, Midnight Blue, Napoleon Murphy Brock, Ed Mann, Mike Keneally und Sheik Yerbouti gespielt. Er unterrichtet Jazz Harmonik und -Arrangement an der Universität Mainz und Jazzgitarre, Ensemble und Transkription an der Frankfurter Musikwerkstatt (FMW) und arbeitet ausserdem als freischaffender Dozent und Musiker. 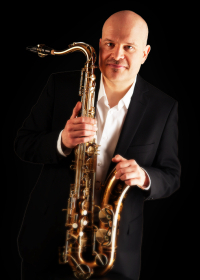 born in 1965, studied saxophone with Wilson De Oliveira at the University of Mainz and with Dave Liebman in the USA. He has played with a.o., Jiggs Whigham, John Rocco, Dave Liebman, Bobby Shew, Bob Mintzer, Peter Weniger, Don Menza, Landesjugendbigband Hessen and Hartmut Hillmann's Eclectic Band. He also leads his own Quartet and is a member of the Frankfurt Jazz Big Band. 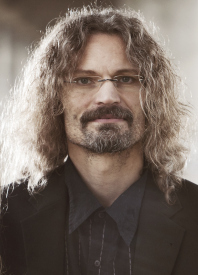 He teaches saxophone at the jazz department of Mainz University. 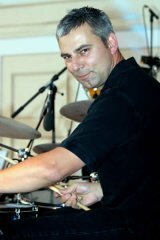 Born in 1963, he has played with A La Carte, Nightbirds, Cosmic Brothers, Andreas Hertel, Ute Jeutter and Deep 'n' Back and he is furthermore teaching drums at various music schools.